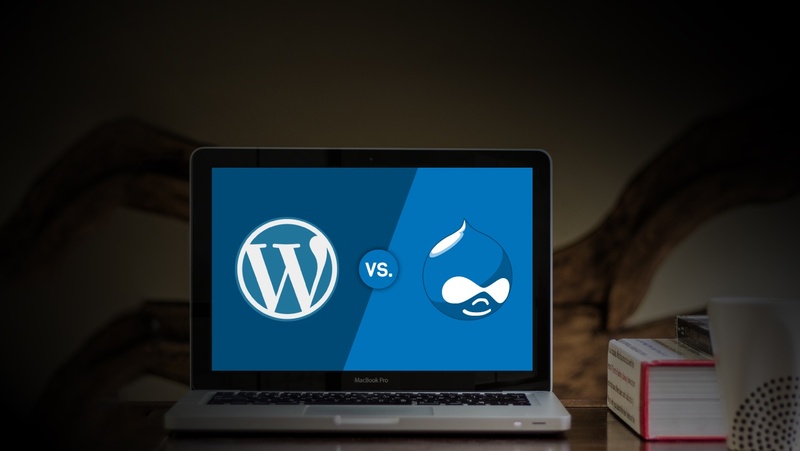 WordPress vs. Drupal: which is better? And why does Drupal 8 change things? Inquiring minds want to know, so we’ll lay out how to define better and the Drupal and WordPress discussion. Yes, it’s true that the WordPress vs. Drupal debate is more-or-less avoided by enthusiastic Drupalers and WordPress enthusiasts today. And despite the release of Drupal 8.1 and WordPress 4.6 Beta 2, there hasn’t been as much straight talk around this as we might expect. This is because, generally speaking, both parties are discouraged from publicly pitting one against the other. This avoids speaking too generally about each platform’s features and functionalities; the logic behind this is that pros and cons are relative to the decision maker. WordPress vs. Drupal conversations are considered by many to be crass. Because there are different kinds of businesses, with unique needs, of varying sizes. But site owners don’t care about platform politics. They’re going to ask this question regardless. I’d like to be pointed here, and perhaps you’ll agree (maybe you won’t). I think we should reject the logic of a CMS stalemate or refusal to debate. The avoidance of the WordPress vs. Drupal challenge is silly. At the end of they day, business owners have a choice to make. And as long as there is a choice to be made between platforms, there’s going to be a debate. So let’s not shy away from it. What does better mean? Before we jump into Drupal 8 and how it changes things, let’s focus and define this objectively with 2016 Content Management expectations taken into account. We need to take “better” from a relative definition, one that’s subject to an opinion which means it isn’t defined at all, to an objective one—a definition which is, well… defined. If you’re a business owner, stakeholder, or decision maker: better means more. More customers, consumers, or converts. This goes for every industry: health care, entertainment, eCommerce, education, publishing, nonprofits, the political—you get it. So to define what’s the better platform, you need to define the platform that will help you get more via giving more. Let’s acknowledge that platforms are for acquiring more. Period. Why else would you pick one… to get less? Platforms are foundations for something more—means to an end, not ends. Every website is a means because it is a medium. So regardless of your industry, your platform of choice should be a choice that makes acquiring more, better. But for whom? Recognize platforms are for your users, content makers, and context builders. Let’s look at three of the most relevant factors defining platform superiority: optimal use, content, and context. Users come first; that’s an accepted norm across the board although I’m sure some disagree. With content reigning from on high, marketers or content managers have to be included. And of course the developers, the builders of context, architects, and modifiers of your medium. What’s more important or more definite than the needs and expectations of the big three: end users, marketers (content makers), and developers (context builders)? That’s how you grow. You get more by giving more to those who can give more to you. It’s where the paradox of generosity meets return on investment. Better means more for your end users, marketers, and developers. In a WordPress vs. Drupal world, give the people what they want. If stakeholders satisfy these needs with the better platform, they’ll acquire additional customers, consumers, or converts. It’s a matter of empowering and enabling who matters. There are some things we should mention before going into how Drupal 8 changes the Drupal vs. Wordpress conversation. Let’s look at the original debate for some background. You've read things about Drupal. Drupal has been known as a clean looking system with a clean look and modules that make life easy. The system was constructed with high performance in mind and has things like built-in caching and scalable databases. Drupal is high-tech and it’s obvious. With a back-end that’s been previously described as complicated, it’s built for change and customization. Because of its emphasis on customization, and that emphasis has always been there, Drupal’s learning curve has received criticism in the past. It’s an incredibly powerful framework—a solid foundation for virtually any type of website. And you've probably read more about WordPress. Without a doubt, WordPress has been characterized by millions as easiest of the most popular content management systems to run a blog or a blog-based site. With WordPress, adding posts, pages, images and other content types is simple and so is the technology that powers it. WordPress’s millions of themes and plugins are alluring. Themes often allow you to quickly change the site’s color, fonts, and layouts easily. Compared with Drupal, WordPress is easier to learn and marketers and developers take to the site easily. But the reality is, it doesn’t offer the same flexibility or customization as Drupal. But the reality is, both platforms are vibrant Open Source projects with communities and contemporary CMS features. But Drupal 8 is changing WordPress vs Drupal. Drupal 8 takes Drupal to heights for users, marketers, and developers which changes the WordPress vs. Drupal debate. 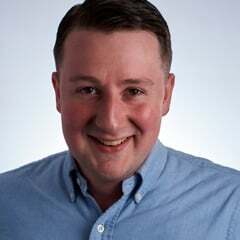 There’s a seriously sharp focus on user-friendliness, content presentation, new ways to create data structures, build APIs, multilingual capabilities, and the delivery of mobile accessibility out of the box. It’s the collective work of over 3,000 individual contributors from all over the world. But most importantly, with Drupal 8 there's more for users, marketers, and developers. Drupal 8 features have taken provisions to the next level. With more flexibility in theme customization through its backend interface, Drupal 8 doubles down on its commitment to being open to more customization and change. Drupal's advanced customization and flexibility, offers more for users, marketers, and developers. More for end users: Drupal 8 migrations offer mobile first, global ready features to users. Having a responsive design means having a website that automatically looks good no matter your user device’s viewport size. The way we search the internet has changed and Drupal accounts for it. This version is a preemptive, forward step, a step away from the dangers of "one size fits all." Much more for marketers: we're looking at a simpler, more flexible Drupal. While previous versions have been viewed as too challenging for marketers, Drupal 8 has changed that. Now content authoring is easier than ever. Content managers can navigate the site smoothly and use the new on page editor quickly and with ease. Drupal 8 features bring unprecedented power into the hands of the Content Editor, with WYSIWYG editor CKEditor now in core. The updated platform also offers users more modules that monitor activity and track analytics. It’s also able to produce automatically customizable meta tags or create title based URL nodes for a website. Tools like Yoast and Goalgorilla can now be incorporated to develop SEO in all aspects. Drupal 8 also supports RDF and integrates easily with Google Analytics. And more for developers: Drupal announced REST API’s that allow each to expand beyond that of traditional web publishing applications. This enables headless Drupal site launches. Drupal 8 is also PHP 7 ready, which is a big deal for Drupalers. Although PHP 7 was launched just after two weeks of Drupal 8 official release, that didn’t stop the Drupal community from supporting that which significantly increases performance. And usability? Because this has been one of the highlights of the WordPress vs. Drupal showdown, we should mention something. Drupal 8 is easier for everyone. Descriptive text is now included for extra help. Users can click and then take the tour. There's no longer a reason to be intimidated.